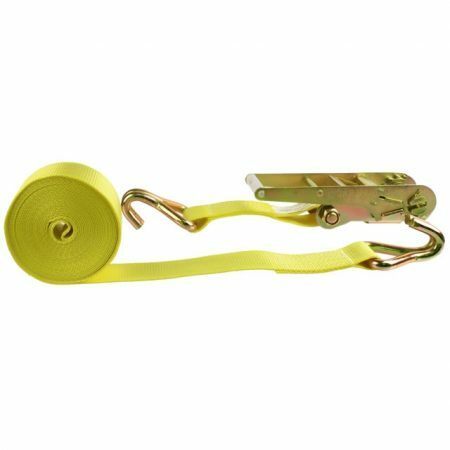 Durable polyester webbing resists water absorption, stretching and UV rays, so it’s an excellent choice for a variety of tie down applications. 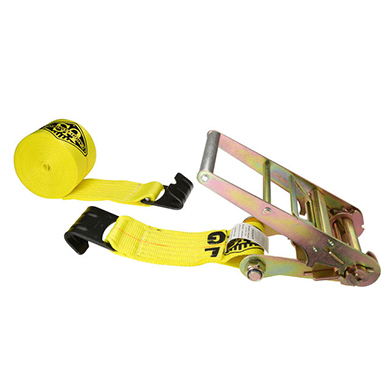 The ratchet assembly features a wide design with a smooth handle for a comfortable grip. 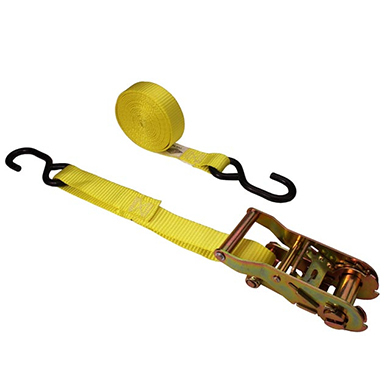 Black flat hooks are coated for protection and also feature a defender to protect the webbing from excessive wear. 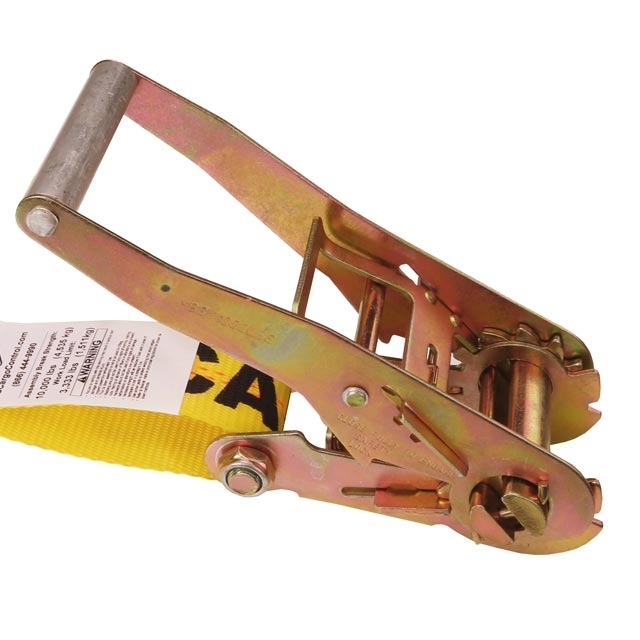 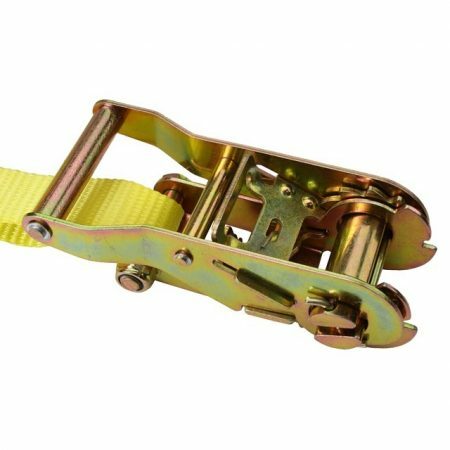 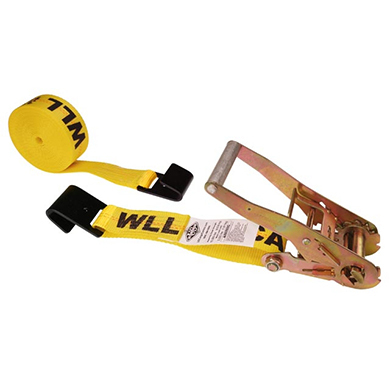 All of our ratchet straps are labeled with the working load limit information and meet DOT and WSTDA guidelines.